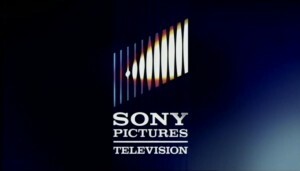 Sony Pictures Television Networks and Virgin Media have announced the imminent arrival of three new Sony channels for Virgin Media customers; POP, MovieMix, and Movies4Men as part of a new long-term carriage agreement. The three channels will be available to Virgin Media customers from August 25th, alongside new catch-up on demand content from Sony Kids channels POP and Tiny Pop via Virgin Media on demand. POP is the home of animated adventure films and television programmes including exclusive titles such as Power Rangers Dino Super Charge, Captain Flinn & The Pirate Dinosaurs, LEGO Friends and Littlest Pet Shop. MovieMix concentrates on popular, contemporary movies for film fans with titles including The Fly, I Spy, Die Hard, Moon and The Full Monty all coming up, whilst male targeted Movies4Men delivers non stop war, western and action movies.